A pair of American Airlines flight attendants filed a class-action lawsuit against uniform manufacturer Twin Hill last week, alleging that its new uniforms have caused health problems for thousands of employees. The plaintiffs — attendants Thor Zurbriggen and Dena Catan — claim in the August 3 suit that as many as 7,000 AA flight attendants may have suffered skin rashes, vertigo and even impaired liver functions as a direct result of the new uniforms. It’s the latest turn in a crisis nearly one year in the making. American Airlines first outfitted 70,000 employees in Twin Hill uniforms in September 2016; within months, as many as 1,600 flight attendants were reporting health problems. By December, the Association of Professional Flight Attendants, an industry union, was petitioning AA to do a full recall, to which AA responded that it found no issues in three separate tests of the uniforms. At that time, the airline told The Points Guy that it was allowing authorized flight attendants to wear the retired uniform as it continued to study reported health issues. American Airlines has reportedly tested the new uniforms and hasn’t found any issues. Image courtesy of American Airlines. American Airlines told TPG in a statement today that it was continuing to look into the matter. “Safety has been and remains our number one priority and we would never ask our team members to wear an unsafe uniform. We have provided several alternatives for anyone who is concerned with wearing the current uniform — and we are working with individuals who have concerns on a case-by-case basis,” a member of AA’s corporate communication team wrote. The situation seems to have only grown worse since December, and the number of complaints filed with the APFA has more than doubled to over 3,700, according to the suit. Some attendants have elected to take a more aggressive approach by going straight at what they say is the source of the health crisis. But a representative for Twin Hill told TPG in a statement that their allegations were baseless. “Nothing in the complaint filed by two American Airlines flight attendants changes the fact that there is absolutely no evidence linking any of the symptoms alleged to our uniforms,” the Twin Hill statement read. This isn’t the first time that Twin Hill, a unit of Tailored Brands, has landed in hot water over a controversy involving flight attendant uniforms. It was sued in 2013 by a group of Alaska Airlines employees who alleged that their uniforms were causing extensive health problems. Twin Hill won that case in 2016 after the court ruled that there was no evidence linking the uniforms to health issues, according to PR Newswire. 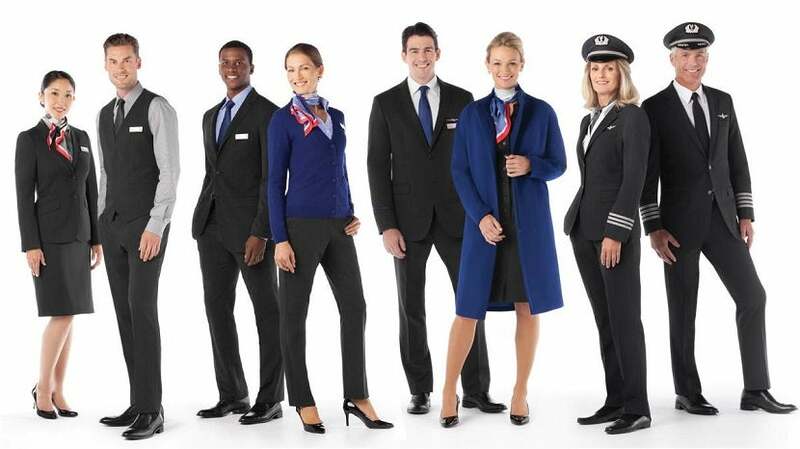 Featured image of flight attendants wearing the new uniform courtesy of American Airlines.